Make the Impossible, Possible with Spring Dell! It is the dedication of Spring Dell donors that allow the organization's programs to be successful. Services such as movement & wellness, transportation, music therapy, and more are unfunded by state assistance. 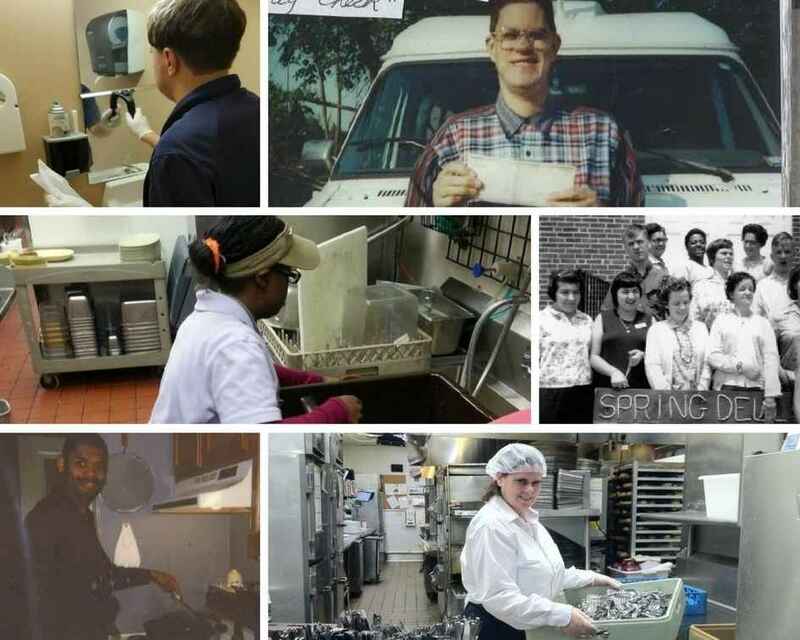 When you give a gift to Spring Dell, you are directly enhancing the lives of people with disabilities, and providing the opportunity for them to obtain meaningful employment in the community, gain social and pre-employment skills and gain independence in their lives. You can immediately get excited in knowing you will touch lives of so many such as Kristin who has utilized the supported employment program to secure a position at the Hampton Inn, where she works regularly and independently in her position. Then there is David, who began working at a local steakhouse in the mid-1980s, and has been working with the same manager ever since at different local restaurant establishments. He is currently employed at IHOP, where he has become an integral part of his workplace, and is so dependable that he is asked to work weekends and holidays. David even connects with coworkers who have adapted to his learning style in order to train him successfully, and attends company events. David resides in his own apartment with minimal supports as well. This is just a snapshot into the success of Spring Dell Center! My sister and brother-in-law Henry Tyler spent a considerable amount of time with you and my sister Kathy raved about hiw well you ran your operation. In honor of Samantha Adams as a memorial to her grammy, M. "Janell" Martin. With our deepest sympathy, from the Capitanis, Dosburgs, Birds, & Gallos. To help you further your mission to support your clients and their families! Thanks you for helping our citizens.